Rainbow bright wooden stack and sort tower which aids learning to count in 3 different ways. Lots of learning fun. 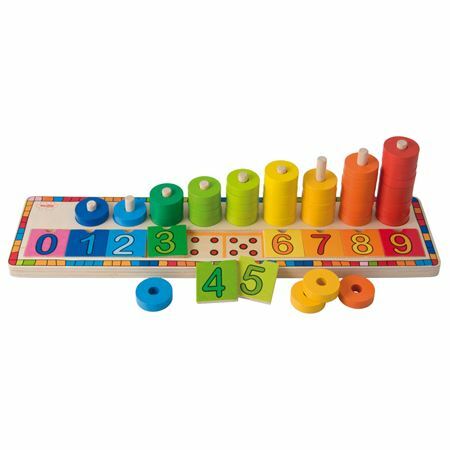 Bright educational wooden rainbow stack and sort tower toy is a striking visual and dexterous aid to learning to count in 3 different ways. 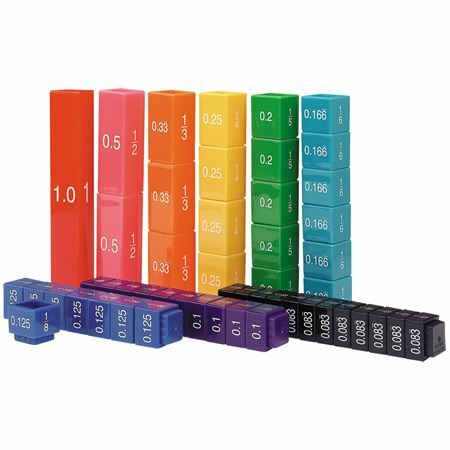 Count the removable 0 – 9 number tiles, stack the correct colour-coded discs on the safe rounded posts and match the dots under each number tile. Lots of learning fun! With 45 wooden discs and a thick sturdy wooden base. Size 11 x 42 x ht 12 cms. A simple way to demonstrate the concept of equivalent comparisons - makes mathematical principles so clear! A fun way to learn times tables. 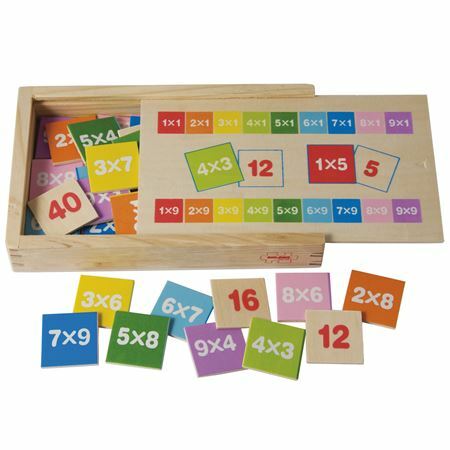 Children's maths aid - wooden box containing number tiles, each tile showing a multiplication with answer on reverse. A fun way to learn addition and subtraction. 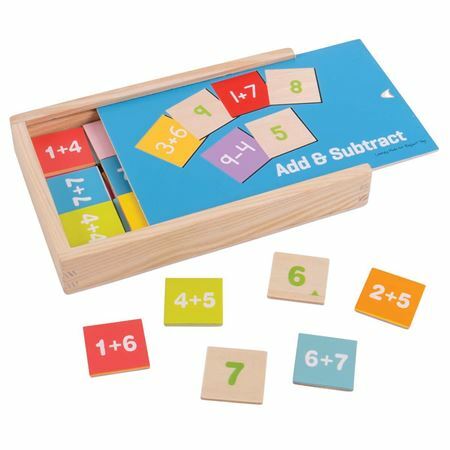 Children's maths aid - wooden box containing number tiles, each tile showing a sum with answer on reverse. 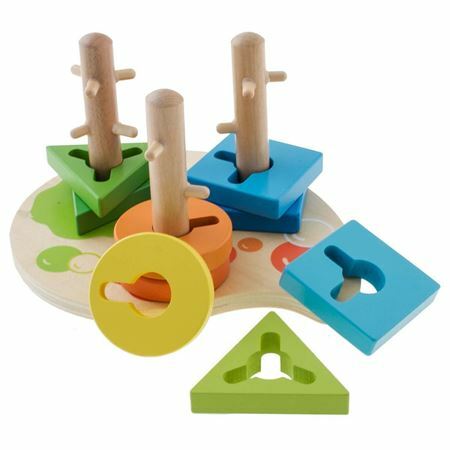 Wooden shape sorter stacker with a difference! The pieces need to be manipulated over smaller pegs to fit on the correct peg post!